For leaders who want to champion inclusive cultures. Diverse people create diverse thinking. Without this, businesses won’t be competitive into the future, they won’t be able to innovate, adapt, pivot, and keep up. But there are still plenty of people who don’t see the value of difference. Anglo-Saxon middle-class men still retain the dominant position in organisational and business leadership life in the western world and that won’t change without attention to it. The most important thing that we need to tackle over the next couple of years is the masculinity of work, and both men and women are central to it. While talk about gender-balanced, open, inclusive cultures is more prevalent, we won’t get to them in practice without shifting the masculinity of work cultures. 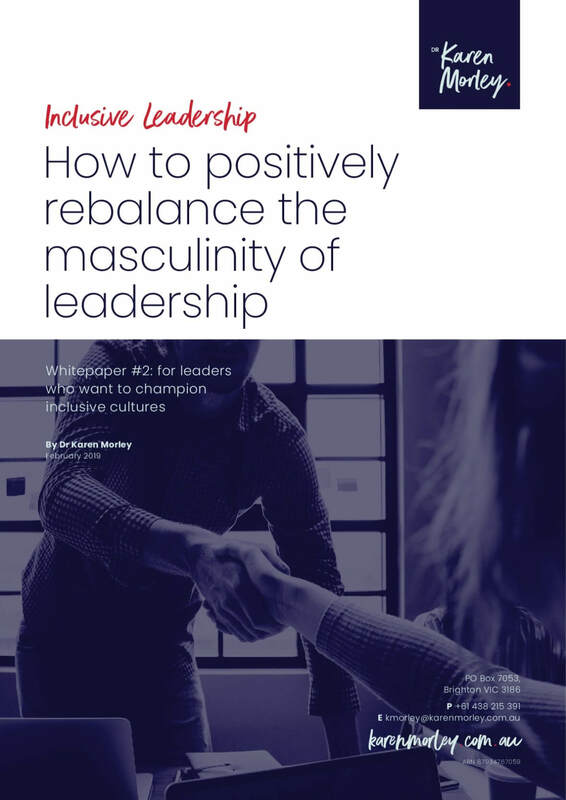 Download the whitepaper to learn more about how to positively rebalance the masculinity of leadership in your organisation.